A year is not a very long time to change your life. Dennis started smoking and doing drugs when he was under the age of 10 and began using harder drugs in 6th grade. His father was incarcerated during most of his childhood leaving his mother only to raise him as best she could under difficult circumstances. Last January, Dennis found himself, once again, back in county jail and still addicted to the drugs which had almost completely ruined his life before. He was moved from jail to state prison last February. Dennis has a daughter in elementary school that is being raised by his mother and a son for whom he has lost his parental rights. 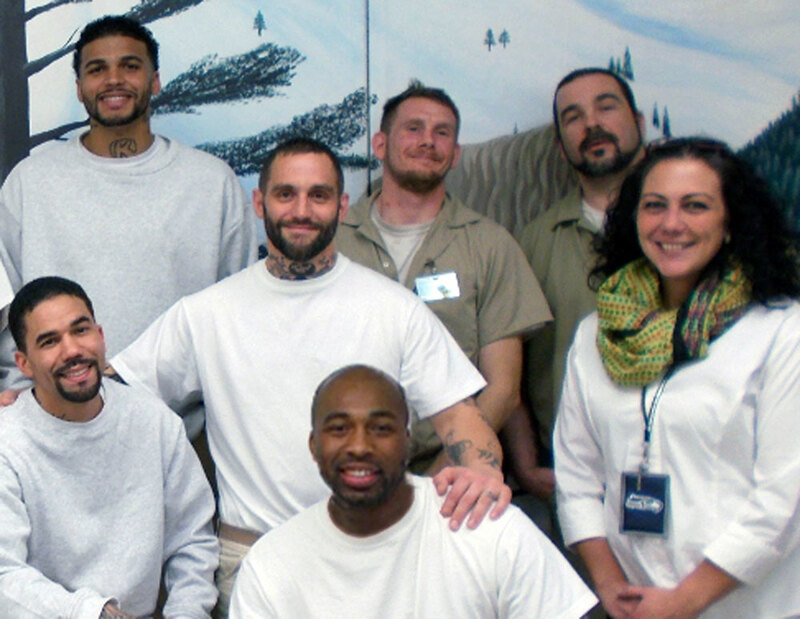 After moving to prison, Dennis decided he wanted to do everything he could to become a better father and he volunteered to enroll in “Strength in Families (SIF)” at the Department of Corrections (DOC). The Strength in Families grant program is funded by the federal Department of Health and Human Services and targets three key areas for reentering fathers: healthy relationships, positive parenting, and economic stability. Partnerships are critical to successful reentry. This program utilizes partnerships between the Department of Social & Health Services (DSHS) and the Alternative Solutions Program, to remove barriers and stabilize child support issues for this population. Dennis began by completing Walking the Line, a course facilitated by SIF Instructor JC Rescorla. The class focused on developing healthy relationships with partners and co-parents. He also completed the employment readiness course, Job Seeking Skills. This course is supported by a partnership with the State Board of Community and Technical Colleges. Dennis recently graduated from Parenting Inside Out, a 60-hour class for incarcerated parents. In addition he is on the verge of earning his GED, with one test left to take. He said SIF classes have helped him realize that he can be a good dad. The combined support and structure of the program gave him the basic tools that will help him to stay focused and sober. He has been infraction-free since enrolling into the program. In September, Dennis’s case manager, Laura Wilson, referred him to work with Alternative Solutions program specialist Brian Mark and Department of Child Support officer Maureen Anglin, originally assigned to Dennis’s child support cases. Anglin had already initiated a change of the child support to ensure the order was set at the minimum amount for currently incarcerated parents. She also began a board review process to reduce or eliminate all of the debt owed to DSHS for the time his children had been on public assistance and in foster care. Within two weeks of the referral from DOC, Dennis and the mother of his son agreed to a “zero-dollar” child support order and all of his back child support, totaling more than $20,000, that was owed to DSHS was written off by the boards’ decision. This means when he is released from prison, Dennis will have no debt and no ongoing child support obligation so he can focus on his sobriety, employment and fatherhood. Once Dennis becomes stable and employed, both he and the mother of his son can discuss increasing the child support obligation amicably. Because of the work accomplished between the two agencies, Dennis and the mother of his child now will have the training, support and resources to work for the child’s best interest. Another SIF staff member, Kathy Gundlach, has been working with Dennis in her position as an Education and Employment Navigator. Among other types of support, she is assisting with his preparations to apply for a Labor Union’s apprenticeship program and to receive Workforce Innovation and Opportunity Act (WIOA) resources through a local WorkSource following release. Through these combined partnership efforts, the dedication of reentry program staff, and the commitment of reentering fathers, the challenges of transition back into the community can be met with the skills, knowledge and resources needed to succeed. Dennis is scheduled for release from custody in March 2018. Case Management Services provided collaboratively between Maureen Anglin, Support Enforcement Officer/Vancouver DCS, Brian Mark, Alternative Solutions Program Specialist/Olympia DCS, Laura Wilson, SIF Case Manager, Cowlitz Co., Kathy Gundlach, SIF Education and Employment Navigator, Cowlitz and Clark Counties. Funding for this project was provided by the United States Department of Health and Human Services, Administration for Children and Families, Grant: #90FO0008. These services are available to all eligible persons, regardless of race, gender, age, disability, or religion. Any opinions, findings, and conclusions or recommendations expressed in this material are those of the author(s) and do not necessarily reflect the views of the United States Department of Health and Human Services, Administration for Children and Families.